Since 1985, The Company of Dance Arts (CODA), a nonprofit corporation, has exposed pre-professional dancers to the real life rigors of a professional dancer, creating a tradition of passion, artistic development, and performance values. One of New Jersey’s favorite holiday affairs, The Nutcracker is performed in December at the Count Basie Theatre in Red Bank, NJ. Support a group of dedicated and passionate people who come together to ensure that our commitment to offering the opportunity to perform is available to all who seek it out. 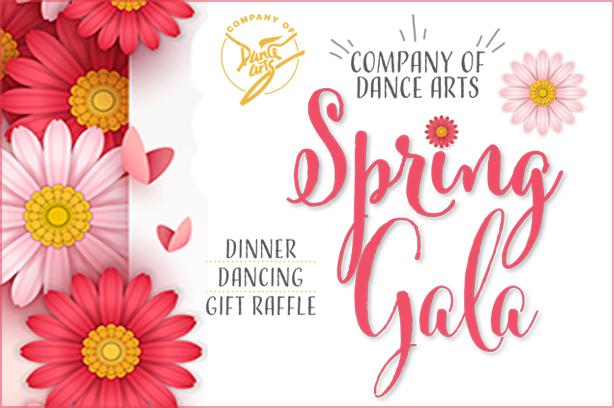 You are cordially invited to attend the Company of Dance Arts Spring Gala on Friday, March 29th. Get more details. Help support the Company’s commitment to providing young dancers with performance opportunities, and to keep performances affordable and accessible for new audiences. Subscribe to receive email communications from CODA, including special offers, on-sale dates, and other updates. "The ballet dancing was extraordinary–even the small children were wonderful. I cannot believe the principal female roles are pre professionals! And the professional male dancers were amazing. Truly magical!" "I take my grandchildren to see The Nutcracker every year. I am always amazed at how beautiful the performance is." "I have supported The Company of Dance Arts for the past 7 years and am thrilled by the level of performances the artistic staff and young dancers create." "I was amazed at the level of dancing at The Nutcracker this year. The ballet dancers were wonderful, the sets creative, and the costumes beautiful. I go each year and it makes my holidays so enjoyable!" CODA was founded in 1985 under the direction of Jennifer James Church, RAD RTS; AISTD, making its debut and performing Octoberfest at the Citicorp Building in New York City. In December 2010, the position of Artistic Director was passed on to former CODA dancer Shayne Mishoe and her husband Nicholas Mishoe.